Dawa Steven Sherpa chairs the Nepal Mountaineering Association’s Environment Protection Committee. Dawa Steven is currently a board member of the Expedition Operators Association ‑ Nepal and is the co‑coordinator for the Mt. Everest rope fixing works. 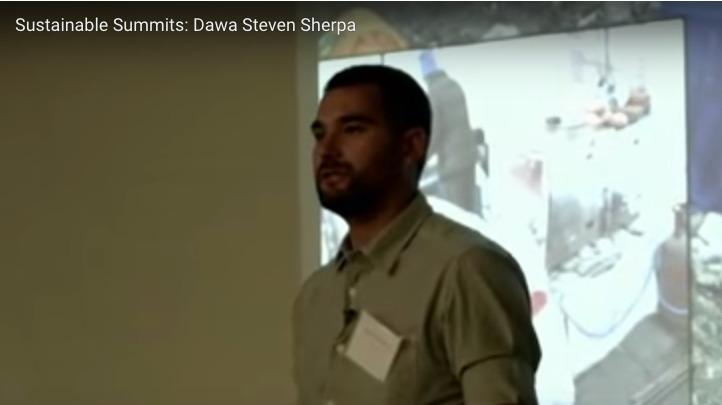 Dawa Steven has led several Eco Everest Expeditions to draw attention to the impact of climate change on the Himalayas and started the successful ‘Cash for Trash’ cleanup campaign on Everest. Dawa Steven has scaled Mt. 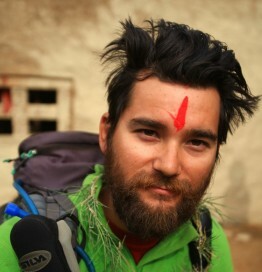 Everest twice and in 2012 walked the entire length of Nepal (1000 miles) on the Great Himalaya Trail with fellow mountaineer, Apa Sherpa, to raise awareness about the impacts of climate change on the Himalaya. The journey took 99 days. He graduated from Heriot‑Watt University Scotland with an Honours Degree in Business Administration. View Mr. Sherpa’s slides below.